Computer networking can be complicated and time-consuming. Trying to manage them on your own takes you away from other critical responsibilities such as sales. A well built and maintained IT network means you never know it is there, it just works. IGTech365 believes the best network is the one you do not think about. From 10,000 feet computer networking serves one purpose, which is interconnecting the computers within your organization. 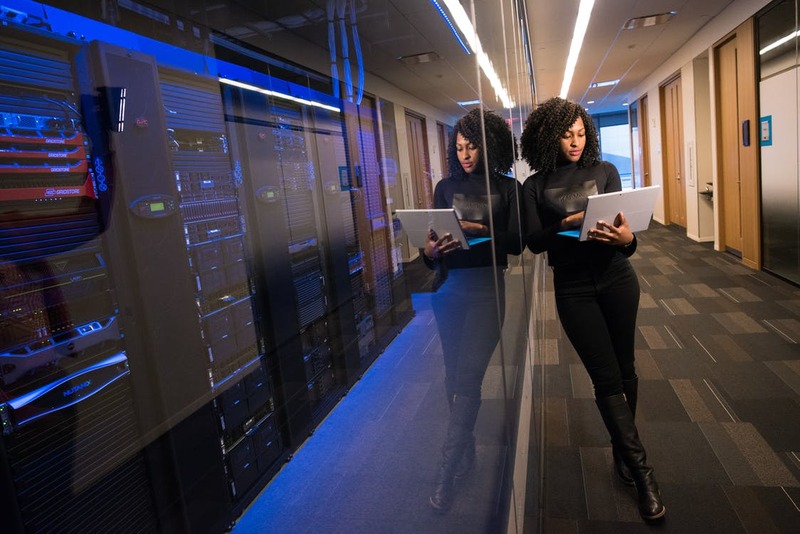 Most small to medium businesses do not want the fixed cost associated with a network administrator, while larger organizations simply need a backup to the current IT staff. As your remote managed IT service provider, let us configure your network or we can augment your existing IT staff. If you have one IT manager, IGTech365 can provide redundancy and added skills when needed. IGTech365 can work to upgrade an existing network using Office 365 tools such as SharePoint and Azure or build a network from scratch. If you are moving into a new office it is a great time to refresh your technology and resolve the little issues that result in poor cybersecurity, slow computers, access limited to your office or poor VoIP phone service quality. What a lot of people do not realize is that a network can take weeks to rebuild if something goes terribly wrong. A business may be down for 1-2 weeks or more depending on the type of issue and availability of equipment or a network administrator. There is a balance between cost, security and recovery time that every customer has to understand. There are different types of networks and each has pros and cons and costs. We can start with a simple phone call to understand your basic needs to determine if IGTech365 is a good fit. The next step is to review your network onsite if you are in the area or remotely if needed. An action plan is then created and we work together to determine which improvements you want to implement. From there we simply get it done in the least disruptive manner possible. Going forward we will manage your network, computers, phone system or whichever systems you want us to handle. We have a staff that provides redundant resources and tools that monitor systems in the background which enable us to resolve issues before you know they are there. A local area network (LAN) is a computer network that links computers and other hardware within a limited area, such as an office building. It has locally managed network equipment interconnected to share data and resources. A metropolitan area network (MAN) is a computer network that interconnects users with computer resources in a geographic area or region larger than that covered by even a large local area network (LAN) but smaller than the area covered by a wide area network (WAN). The term is applied to the interconnection of networks in a city into a single larger network (which may then also offer efficient connection to a wide area network). It is also used to mean the interconnection of several local area networks by bridging them with backbone lines. The textbook definition of a WAN is a computer network spanning regions, countries, or even the world. In terms of the application of computer networking protocols and concepts, it may be best to view WAN’s as computer networking technologies used to transmit data over long distances, and between different LAN’s, MAN’s and other localized computer networking architectures. WAN’s are used to connect LAN’s and other types of networks together, so that users and computers in one location can communicate with users and computers in other locations. Many WAN’s are built for one particular organization and are private. Others, built by Internet service providers, provide connections from an organization’s LAN to the Internet. A virtual private network (VPN) extends a private network across a public network. They are used to create a cohesive network of geographically separated offices. It enables users to share data as if their computers were directly connected to the private network. Virtual Private Networks may allow employees to securely access a corporate intranet while located outside the office. A VPN is created by establishing a virtual point-to-point connection through the use of dedicated connections, virtual tunneling protocols, or traffic encryption. A VPN available from the public Internet can provide some of the benefits of a wide area network (WAN). From a user perspective, the resources available within the private network can be accessed remotely.